Coach Tina started at Mr. Blue 2 years ago and has always enjoyed the teaching aspect of our company. Tina plans to go into Radiation Therapy as a career and is currently attending Broward College as a dual enrolled student with the hope to get into the radiation therapy program. She and Coach Julia are twins and both of them got into teaching swimming because their little brother had a near drowning experience. 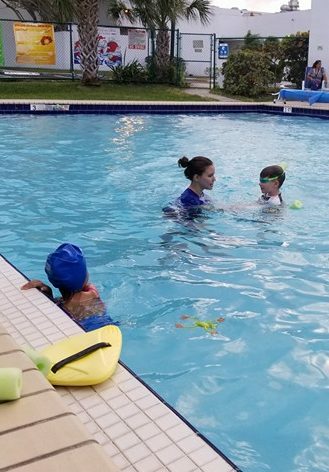 She hopes to continue teaching children how to safely and effectively save their lives and continue to prevent drownings.